The Texarkana Arkansas Police Department are conducting a Warrant Amnesty/ Carseat Exchange program offering amnesty for a period beginning December 1st, 2016 through December 16th, 2016 for people who have outstanding warrants for Contempt of court for not paying fines. 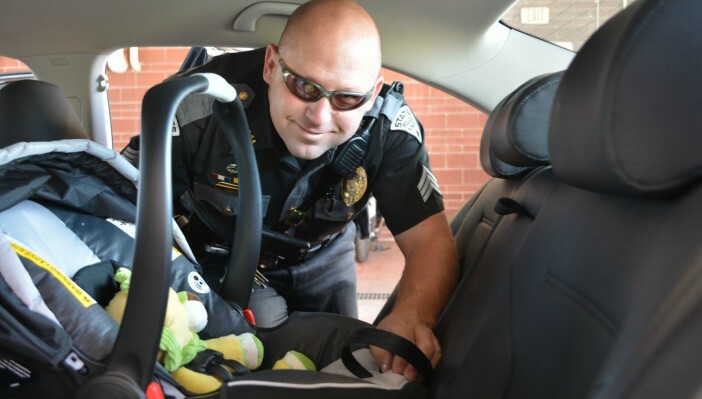 Bring in a “new in the box”, car seat, and the Texarkana Arkansas District court and the TAPD will waive the warrant fee and reset a payment arrangement without penalties. Infants from birth to at least twenty pounds should be restrained in a rear-facing or convertible seat rear-facing, and children from twenty to 60 pounds are required to be restrained in a convertible seat forward facing or forward facing seat or booster seat as applicable. Because motor vehicle crashes are a leading cause of death for children younger than 13 years of age we want to ensure that every child is properly restrained in a vehicle. In an effort to raise awareness of the Arkansas Child Restraint Laws and reduce injuries due to motor vehicle crashes, the Texarkana Arkansas District Court and the Texarkana Arkansas Police Department will conduct a car seat exchange warrant amnesty period beginning December 1st, 2016 through December 16th, 2016 for people who have outstanding warrants for Contempt of court for not paying fines. By bringing in a NEW, in the box, car seat, the Texarkana Arkansas District court and the TAPD has agreed to waive the warrant fee and reset a payment arrangement without penalty. The upcoming car seat exchange warrant amnesty period was announced today by District Court Judge Wren Autrey, who said the amnesty program would enable those being sought on warrants to avoid being arrested, avoid being assessed additional court costs and resolve their case entirely. Judge Wren Autrey said, “These individuals have had their driving privilege suspended and clearing these fines will also enable them to regain a valid driver’s license”. Judge Wren Autrey will waive the $350.00 warrant fee and release your driver’s license for reinstatement. All donated car seats will be utilized by the Southwest Arkansas Prevention Taskforce to support the Safety Baby Shower program in the area. The seats will be provided to parents completing the Safety Baby Shower program and installed by a Certified Child Passenger Safety Technician. The seats can be donated at the Texarkana Arkansas District Court located at the Bi-State Justice Center, 100 North State Line Avenue, 8:00am-5:00pm, beginning December 1st through December 16th, 2016. Thank you in advance. For further information, you may contact Pe’Tree Banks at 903-798-3789, Cpl Kristi Bennett 903-798-3187 Texarkana Arkansas Police Department’s Warrant Officer at 903- 798-3131. Thank you and you can visit the Texarkana Arkansas Police Department online at http://www.txkusa.org/arkpolice.